If you're reading this, chances are that the iPhone SE is not for you. We're the geeks, the power users that always want the latest and greatest. What we aren't is the majority, no matter what we think we are, we're a very vocal minority in Apple's sales. You'll hear about how boring the SE is and how Apple should have done more. On the contrary, Apple made the device they needed to. I'll tell you why. When moving to larger screens, Apple moved with all deliberate speed. The 5 & 5S were more about moving the iPhone to the industry standard 16:9 than actually making the iPhone screen larger. It was just longer, but that set the table for what was to come. The iPhone 5 also introduced a new metal unibody construction that was thinner and higher quality than previous iPhones. It also introduced the lightning port. The next year the 5S added 64-bit ARM A8 processing and Touch ID, another important stepping stone, and honestly the feature I appreciate most. Being able to use my thumb print instead of my passwords has made the mobile experience much more enjoyable and convenient. The next generation iPhone 6 and 6 Plus finally ushered in the medium and large screens I had been waiting for since I laid my eyes and hands on the Samsung Note II. Having larger screens was a godsend for me. I could use it. We also saw NFC and mobile payments make their debut on iOS leading to Apple Pay. The 6S generation brought a 4k rear camera and ability to use the screen as a selfie flash. Apple found something out along the way. While many people were happy about the color choices and features of the new phones, sone size never fit all. Despite the new phones, 30 million people continued to buy the smaller 4” iPhones. Why? Because it fit them and their uses as much as my 5.5” 6 Plus fits me. The iPhone 5S was definitely a great phone, but it was behind of the features. Apple decided it was time for an upgrade. 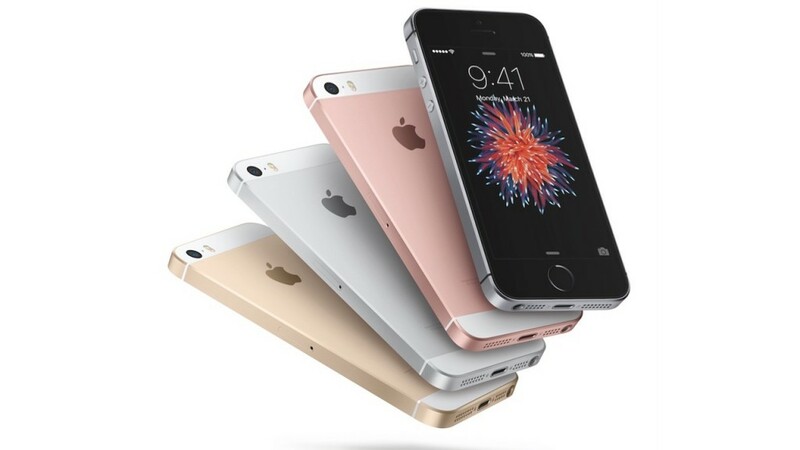 With the iPhone SE, Apple combined the best of the iPhone 5S with the best of the 6S. While the iPhone SE may be Apple’s least expensive phone at $399, it is not in any way, shape, or form a low end phone. In fact, its one of the most advanced devices on the market. The A9 CPU is lifted straight from the 6S as is the 12mp rear camera and secure element for Apple Pay. The front camera, screen, and Touch ID sensor are the same as on the 5S. That said, decidedly unlike the 5S it has the Retina flash feature. If you’re looking for 3D touch, its not here. But considering the price and reusing the 5/5C/5S screen, I wouldn’t have expected it. The most surprisingly controversial design element is reusing the 5S casing for the S$, though now with the same 4 colors as the 6S. The opposition to this perplexes me. Its a smart move for the consumer. The 5/5S have a mature and complete accessories market. Other than the design crowd, who would changing an already excellent design benefit? The big question is who is this for? Let me tell you. First, its for the person who just wants to have an iPhone. This is your mom, dad, aunt, grandparent, etc and just want an easy to use smartphone experience. The other man crowd is people who even the 4.7” iPhone 6/6S to comfortably use. Lastly, its for the Apple Pay user. Apple wants mobile payments in everyone’s hands. Whoever you are, the iPhone SE gives you the high end features of the latest iPhones in a 4” form factor. You get the full iPhone experience at any size without compromise. With the iPhone SE, the iPhone lineup is complete. If the SE doesn’t float your boat, you have two other options. Small, medium, and large everyone now has an option.